I”m excited to let you all know that my “The World of Aluna” comic books are ready for Purchase on Comixology, Barnes & Noble and where ever comic books are sold. We have some exciting news coming to you soon. Please click the link below to purchase. COME MEET PAULA GARCES AT 2019 SAN DIEGO COMIC CON NYC. 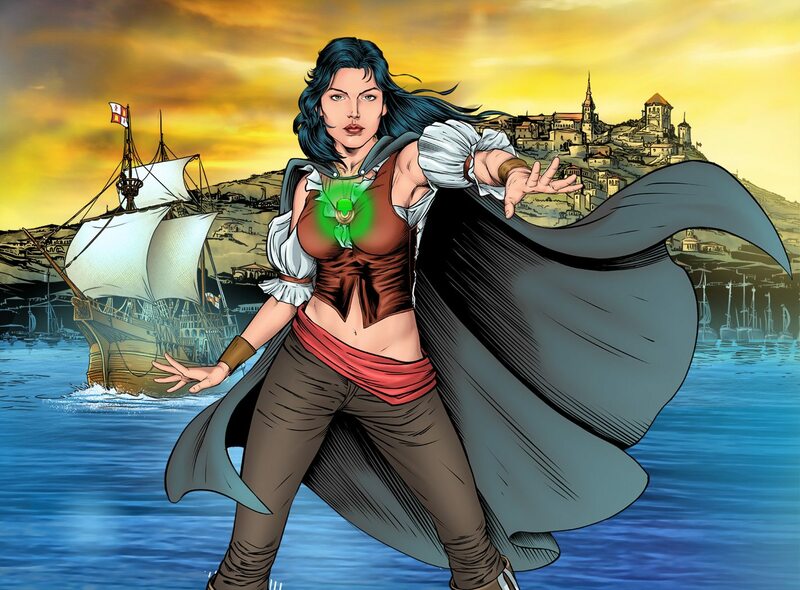 PROMOTING HER VERY POPULAR COMIC BOOK SERIES “THE WORLD OF ALUNA” . NETFLIX "ON MY BLOCK SEASON 2"
Watch as @paulagarces1 takes @warehouse13 to where they never went before ! Aluna is a Story about a baby girl of native Colombia set back in the 1500s. She was taken from the new world by the Spaniards and raised as royalty in Spain. As if by fate she is forced to travel back to the New World, only to discover that she is indeed fulfilling her destiny. While there, she is visited by her missing tribe’s Spiritual Leader and quickly learns that she is the daughter of the Goddess “Pachamama” . Her journey will be filled with adventures of the unknown. Aluna will be torn between what she has just learned and the life she left behind. 2019 will be a great year for Aluna. The line between Comic Books and live action is thin. More to come soon !! !